There’s a party in the nation’s capital and the guests are thirsty! 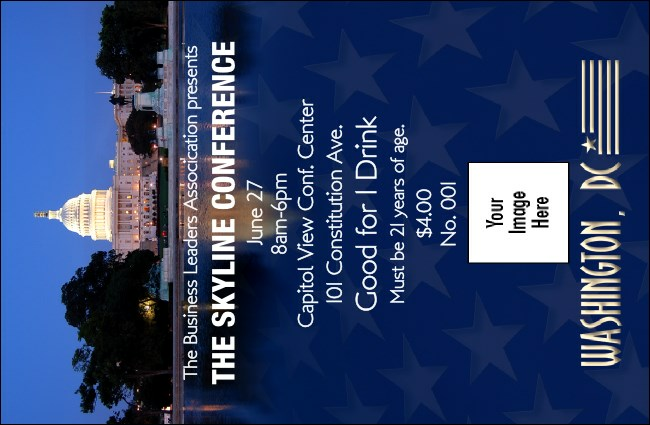 Make an executive decision by selling drinks early with the Washington D.C. Drink Ticket, featuring a picture of the U.S. Capitol lit up at night! Room for a custom image makes this ticket template yours, and individual numbering keeps it secure. Thirsty for some more great designs? Browse the options at TicketPrinting.com.